Up to A maximum of $6,300 in total discounts is available on select 2019 Dodge Grand Caravan CVP and consist of $6,300 in Consumer Cash. Consumer Cash Discounts are applied before taxes. See your dealer for details. Finance for 4.29% purchase financing for up to 96 months available to qualified customers on approved credit through Royal Bank ofCanada, Scotiabank and TD Auto Finance on select 2018 Dodge models. Example: 2019 Dodge Grand Caravan SXT with a Purchase Price of $26,999, with a $0 down payment, financed at 4.29% for 96 months equals 416 weekly payments of $76.79; cost of borrowing of $4,945.64 and a total obligation of $31,944.64. Up to A maximum of $10,750 in total discounts is available on select new 2019 Dodge Grand Caravan models (excluding CVP, SXT, Crew Plus and GT models) and consist of $10,750 in Consumer Cash (deducted before taxes). This offer cannot be combined with low rate financing. See your dealer for details. Finance for 4.29% purchase financing for up to 96 months available to qualified customers on approved credit through Royal Bank ofCanada, Scotiabank and TD Auto Finance on select 2018 Dodge models. 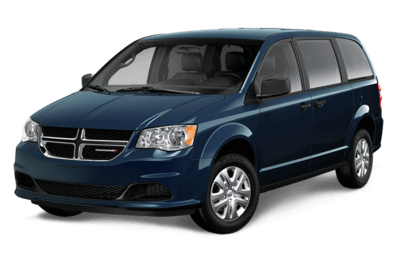 Example: 2019 Dodge Grand Caravan SXT Premium Plus with a Purchase Price of $30,499, with a $0 down payment, financed at 4.29% for 96 months equals 416 weekly payments of $86.74; cost of borrowing of $5,584.84 and a total obligation of $36,083.84. Up to A maximum of $12,750 in total discounts is available on select new 2019 Dodge Grand Caravan models (excluding CVP, SXT, Crew Plus and GT models) and consist of $10,750 in Consumer Cash (deducted before taxes) and $2,000 in Ultimate Family Bonus Cash (deducted after taxes). This offer cannot be combined with low rate financing. See your dealer for details. Finance for 4.29% purchase financing for up to 96 months available to qualified customers on approved credit through Royal Bank ofCanada, Scotiabank and TD Auto Finance on select 2018 Chrysler models. 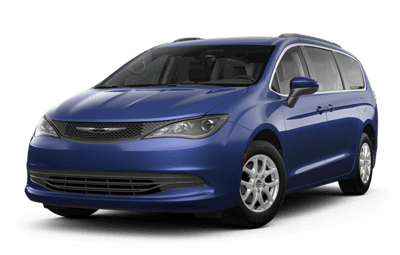 Example: 2019 Chrysler Pacifica Touring with a Purchase Price of $33,999, with a $0 down payment, financed at 4.29% for 96 months equals 416 weekly payments of $96.7; cost of borrowing of $6,228.2 and a total obligation of $40,227.2. Up to A maximum of $7,000 in total discounts is available on select 2019 Chrysler Pacifica Touring models and consists of $7,000 in Consumer Cash. Consumer Cash Discounts. See your dealer for details. Best-in-Class towing Based on the latest available competitive information for minivans in the WardsAuto Small Van segment. Excludes other vehicles designed and manufactured by FCA US LLC. When properly equipped. Unsurpassed highway fuel economy Pacifica unsurpassed fuel efficiency disclaimer: Based on EnerGuide fuel consumption ratings for non-hybrid minivans in the WardsAuto Small Van segment. 12.9 L/100 km (22 mpg) city. 2018 Chrysler Pacifica with 3.6L PentastarTM VVT V6 engine and 9-speed automatic transmission. Government of Canada test methods used. Your actual fuel consumption will vary based on driving habits and other factors. Number of advanced air bags The advanced front air bags in this vehicle are certified to the federal regulations for advanced air bags. Children 12 years old and younger should always ride buckled up in a rear seat. Infants in rear-facing child restraints should never ride in the front seat of a vehicle with a passenger front air bag. All occupants should always wear their lap and shoulder belts properly. Park-Sense Rear Park Assist with Active Braking This is a driver convenience system, not a substitute for active driver involvement. The driver must remain aware of their surroundings and be prepared to take corrective action to avoid collisions.